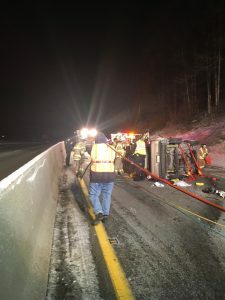 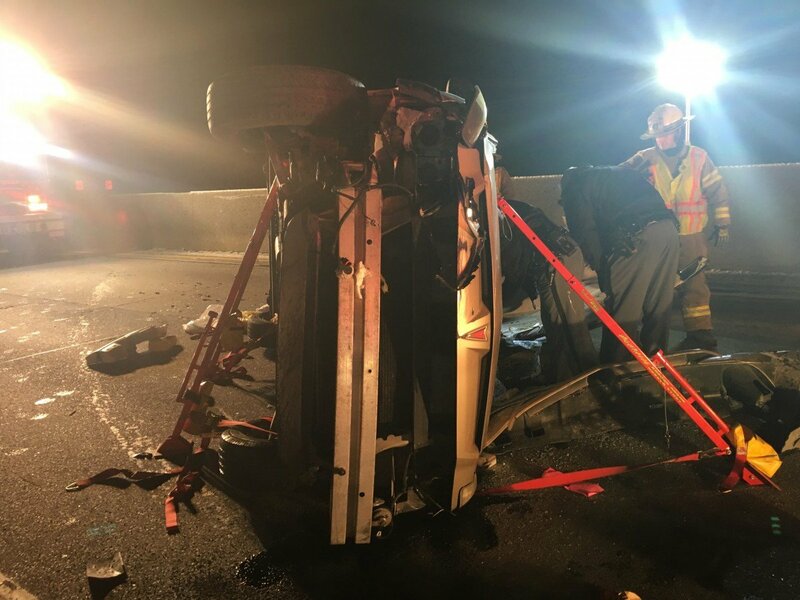 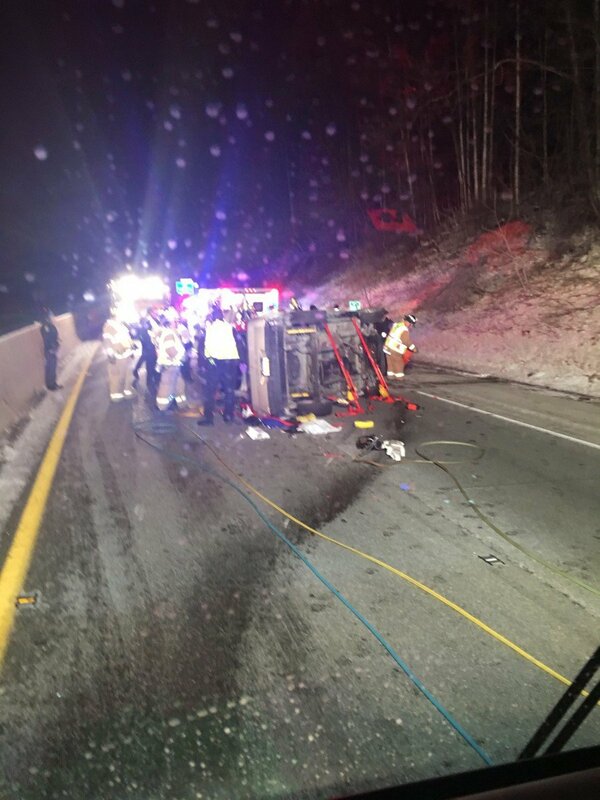 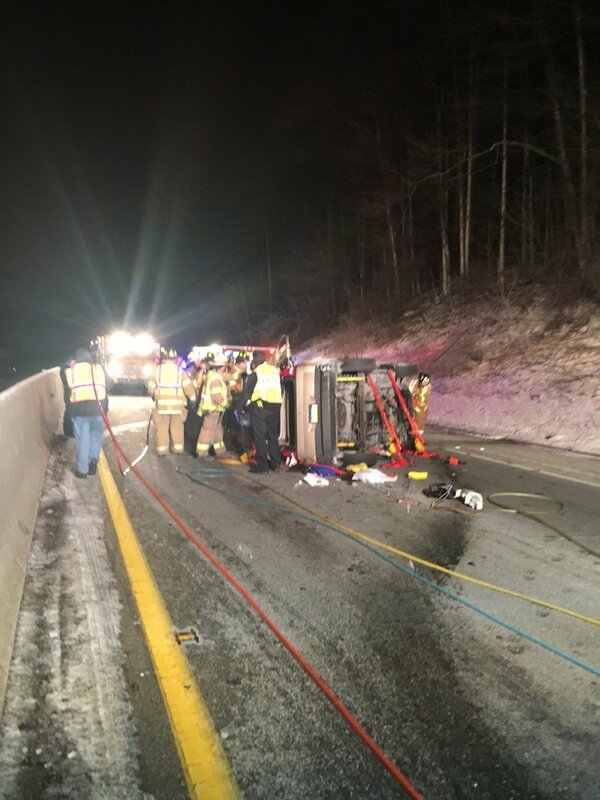 King of Prussia and Swedeland Fire Companies along with UMPD, PSP and Lafayette Ambulance responded to the Schuylkill Expressway at 1:02am on 2-10-17 for a vehicle rescue – One vehicle overturned and came to rest on its driver’s side. The lone occupant of the vehicle was entrapped by the steering column and the damage to the vehicle along with coming to rest on its side. A UMPD officer was able to gain access to the vehicle to assess the victim’s injuries and the extent of entrapment. Emergency personnel worked together to coordinate stabilization of the vehicle and to safely cut away the parts of the vehicle that entangled the victim. 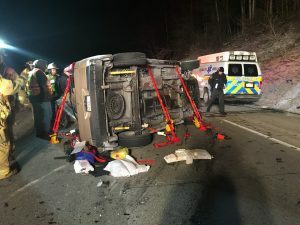 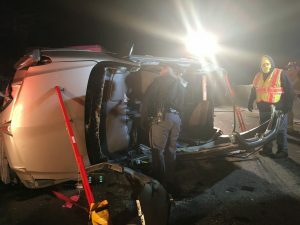 Using hydraulic tools and sawzalls (with other support equipment), emergency personnel cut away the roof of the vehicle and then cut away the parts of the car surrounding the victim’s lower extremities. The victim was conscious and suffered moderate injuries. 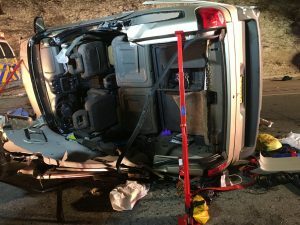 After extrication the victim was treated and transported to the hospital by Lafayette Ambulance.